Library card-carrying bibliophiles looking for a getaway might want to consider Baron’s Cove hotel in Sag Harbor, New York, the seaside town where John Steinbeck spent the last years of his life. In honor of the writer’s 115th birthday on February 27, guests who present a library card will receive a special rate of $115/night in February and March. Book a stay for Sunday, February 26, and the next night is free. Plus the birthday perks don’t stop there. Toast your literary adventures with two complimentary Jack Rose cocktails, Steinbeck’s preferred libation. And you’re welcome to bring along a canine companion, just like Steinbeck did on the 1960 road trip he recounts in Travels with Charley when his French poodle pal rode shotgun. 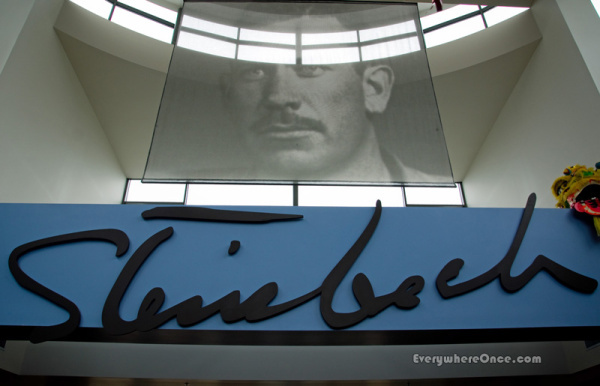 Meanwhile, in Salinas, California, the town where the Nobel Prize-winning author grew up, the National Steinbeck Center is hosting its annual birthday festivities. On Saturday, February 25, the always-fabulous and interesting museum has a variety of children’s activities planned throughout the day. A candle-topped birthday cake will be served at noon. It’s always a great time for bibliophiles to explore England, which is the preeminent destination for literary travel. (More on that another time.) But because of all the milestone events taking place in 2017, VisitEngland has declared it the Year of Literary Heroes. To mark the 200th anniversary of Jane Austen’s passing, head to the place where she spent the majority of her days. Beginning in March, “Jane Austen 200 – A Life in Hampshire” encompasses a variety of events, including special exhibits, talks, and activities at the Jane Austen’s House Museum (her last residence, see photo) in Chawton. Also on the agenda is Regency Week with music, dance, and more, and Big Picnics taking place across the area. Harry Potter fans have plenty to celebrate, too. It’s hard to believe, but J.K. Rowling’s first book featuring the young wizard, Harry Potter and the Philosopher’s Stone, was published twenty years ago in June. Among the festivities is a Harry Potter Film Concert Series, a live orchestral screening of the film version taking place at Royal Albert Hall in London and other cities throughout the country. In the fall, the British Library will be launching a new Harry Potter-themed exhibit, the first one it has mounted for a single series of books by a living author. Among the other milestones being celebrated during the Year of Literary Heroes are the 75th anniversary of Enid Blyton’s Famous Five children’s adventure novels; the 100th anniversary of wartime poet Edward Thomas’ death; the 125th anniversary of Alfred, Lord Tennyson’s passing; and the 125th anniversary of master sleuth Sherlock Holmes’ debut. Click here for more information about the Year of Literary Heroes. And start planning those itineraries. Along a harbor-side walkway in Sydney, Australia, in the shadow of the city’s iconic Opera House, some pedestrians paused to ponder what was written on bronze plaques embedded in the ground. But most people didn’t break stride, stepping on or over them without noticing what was beneath their feet. Just as I was walking by one plaque, a curious couple paused for a closer look. I stopped, too, and the name Robert Louis Stevenson jumped out. The tribute is part of the Writers Walk, a series of 60 plaques leading around Sydney’s Circular Quay. 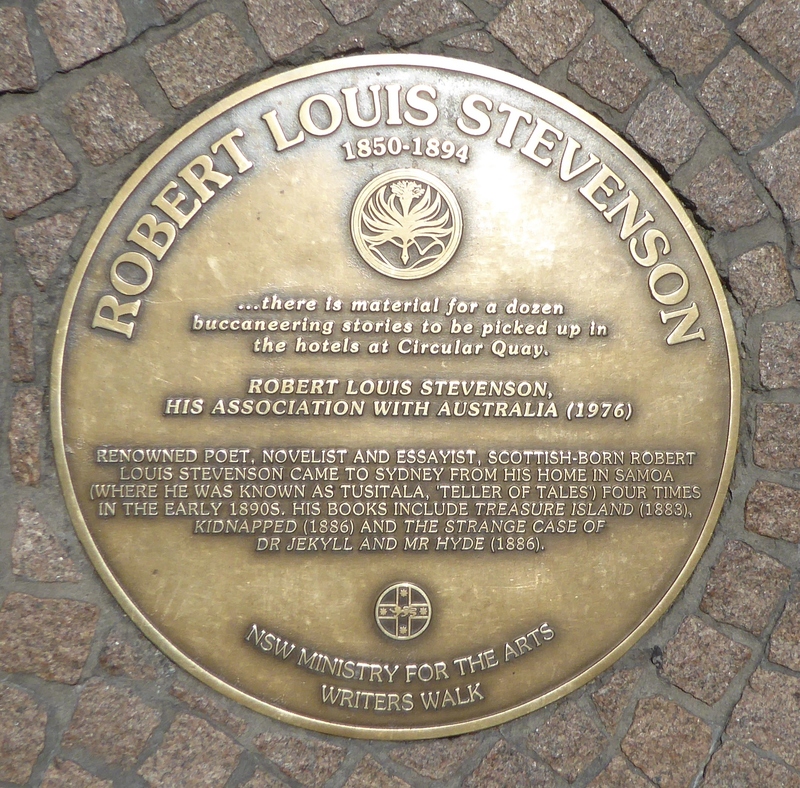 Australian authors are commemorated, as well as other wordsmiths, like Stevenson, who visited or lived in the city. Each plaque features a brief biography and an excerpt of the author’s writing. Stevenson sailed into Sydney on numerous occasions between 1890 and 1893. He spent the last years of his life in the South Pacific, eventually settling near Apia, Samoa. The abode he built on the island is now the Robert Louis Stevenson Museum. When the adventurous scribe passed away in 1894 from a cerebral hemorrhage at age 44, Samoan natives he had befriended carried his body to a hilltop grave overlooking the sea. 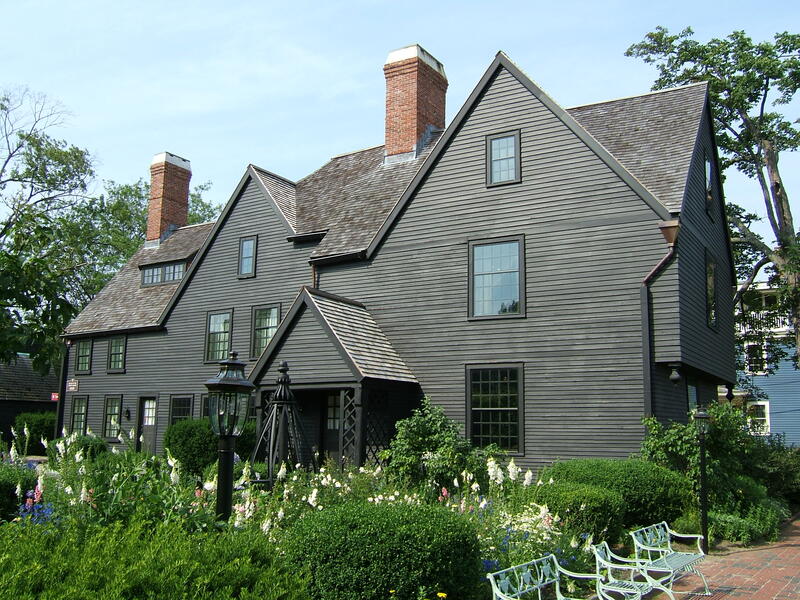 The House of the Seven Gables, the abode that inspired Nathaniel Hawthorne’s gothic novel of the same name, hosts the annual “Spirits of the Gables,” with characters from the story haunting the hallways of the atmospheric seaside mansion. The Nathaniel Hawthorne House, located steps away in the House of the Seven Gables complex, holds a re-enactment of the Salem Witch Trials of 1692 — highlighting the part played by the writer’s great-great grandfather, whose zealousness during the proceedings earned him the moniker “The Hanging Judge.” When: October 7-31 on various days Click here for more information on the events. Along with entertainment that includes a staged reading of one of Willa Cather’s lesser-known works, the comedic West-bound Train, attendees will eat well at this evening event. On the menu are farm-to-table hors d’oeuvres paired with wines and a signature cocktail prepared by an award-winning local chef. The literary soiree is sponsored by the Willa Cather Foundation in Red Cloud, Nebraska. When: Friday, October 7. (Reserve tickets by September 30). What is the connection between Gilded Age novelist Edith Wharton and a notorious murderer? Find out during a Literary Roundtable, a seasonal weekly series that explores different aspects of Wharton’s works and themes. Upcoming discussions are A Connoisseur Abroad: The Travel Writings of Edith Wharton (October 13), A Taste for the Macabre: Edith Wharton and Lizzie Borden (October 20), and “An Agony of Terror”: The Ghost Stories of Edith Wharton (October 27). Where: The Mount, Lenox, Massachusetts. When H.G. Wells’ tale about Mars inhabitants invading Earth was first performed as a radio play in 1938, it caused widespread panic among listeners who believed the broadcast was relaying actual events. 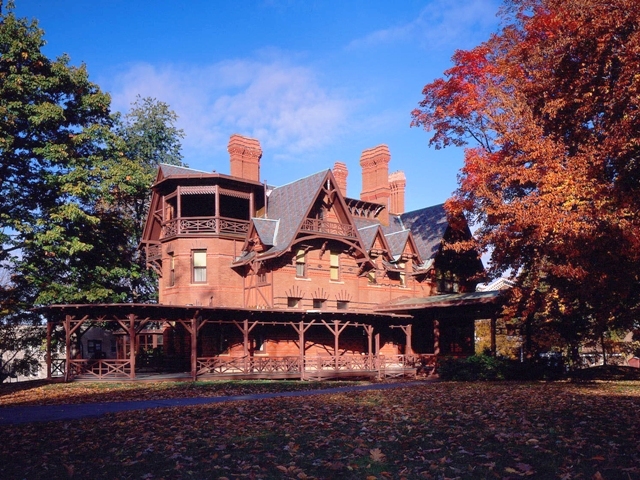 A dramatic rendition of the story is taking place at the Mark Twain House in Hartford, Connecticut, with professional actors and a sound effect specialist staging a show made for radio right in front the audience. When: Friday-Sunday, October 28-30. Thousands of hand-carved, illuminated pumpkins are ablaze on the grounds of Cortland Manor during one of the many events that take place this month in Washington Irving territory. The author of “The Legend of Sleepy Hollow” lived in New York State’s Hudson Valley in a wisteria-draped cottage, Sunnyside, on the banks of the Hudson River. When: September 30-November 13 (some dates already sold out). Some of the eye-catching decor at the Central Library in downtown L.A.
“Los Angeles still comes to mind for most as a place of palm tree-lined streets, movie stars, and perhaps, a cultural wasteland,” writes Katie Orphan in the LitHub.com article “A Literary Long Weekend in Los Angeles: A Bookish Visit to the Land of Bukowski and Didion.” If you do fancy an L.A. getaway, you’ll find that the city is a bibliophile’s delight. Follow along with Katie, who works in town at The Last Bookstore, as she points readers in the right direction. Among her suggestions: Marvel at the opulent Central Library building in downtown, pull up a bar stool at the King Eddy Saloon, where Charles Bukowski once drank, and find the location of Philip Marlowe’s apartment in Raymond Chandler’s detective tales. 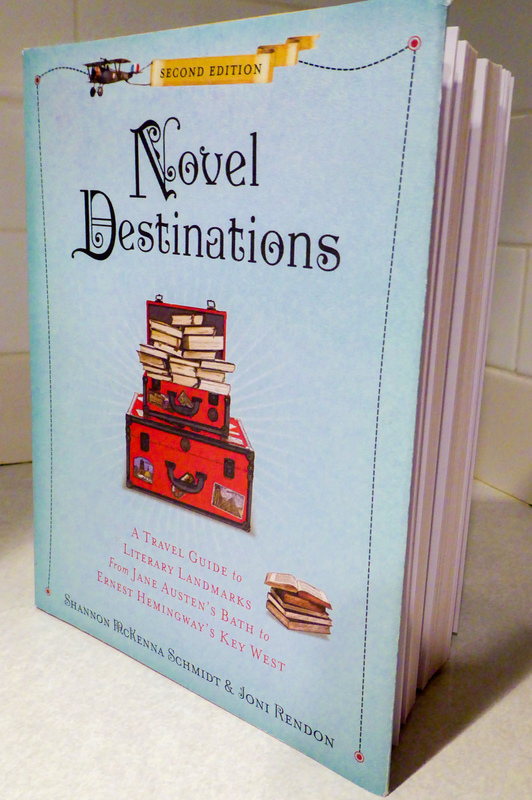 Just be sure to leave room in your suitcase to pile in the purchases you’ll no doubt make after exploring the offerings at a host of terrific independent bookstores. Tap into the creative spirits of two famous wordsmiths. Writers looking for a novel space in which to turn out poetry and prose can tote along a laptop, or put pencil to paper (no pens permitted), in Mark Twain’s library and Emily Dickinson’s bedroom. At the Mark Twain House & Museum in Hartford, Conn., participants have three uninterrupted hours to craft tales and brainstorm plot ideas. With ornate, dark wood accents, teeming bookshelves, velvet furnishings, and teal-and-gold-colored walls, the library is one of the most elegant rooms in the house. In front of the fireplace, which is adorned with a mantelpiece from a Scottish castle, Twain once entertained family and friends by reciting poetry and reading aloud excerpts from his new works. Cost: $50. Limited spaces available in September. Reservations required. 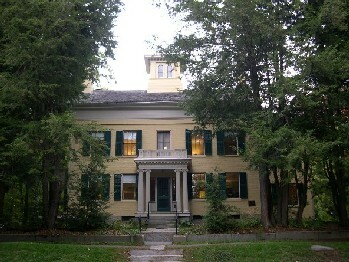 The Emily Dickinson Museum in Amherst, Mass., is inviting writers, artists, and composers to spend time in the room where the poet turned out much of her verse. “Sweet hours have perished here; This is a mighty room,” Dickinson penned about the sacred space. She spent all but 15 of her 55 years living at her family’s abode, a 200-year-old brick manse, where she wrote poetry in secret and sewed the pages together in hand-bound volumes. Pricing ranges from $75-200. Reservations required. A “bi-coast toast” is taking place next week in celebration of Dorothy Parker’s August 22nd birthday. New Yorkers can toast the witty wordsmith in Brooklyn at the Shanty/NY Distilling Co., makers of Dorothy Parker Gin. Guests are encouraged to bring a Parker book to the soiree and read lines aloud—perhaps after partaking of the “two at the most” martini special. Meanwhile, Los Angeles-based bibliophiles are invited to gather for cocktails at Canter’s Deli’s Kibitz Room. Both get-togethers are hosted by the Dorothy Parker Society, which offers Parker-related walking tours and events throughout the year. Fans who can’t make the birthday bashes are encouraged to raise a glass or have a party on their own and share photos of the merriment on social media, using the hashtag #DorothyParker123. Precious relics of the life of Charlotte Brontë are taking center stage this year in a pair of special exhibitions celebrating the author’s bicentenary. 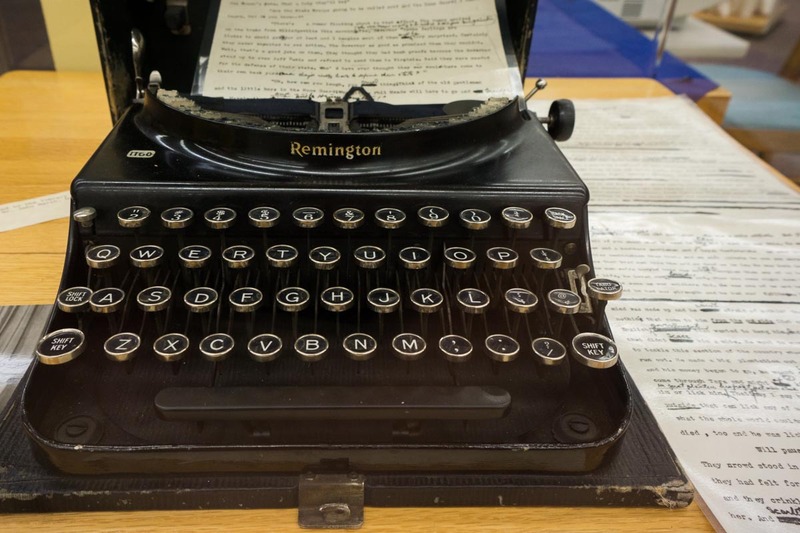 At the Brontë Parsonage Museum in Haworth, Charlotte Great and Small, curated by acclaimed novelist and Brontë enthusiast Tracy Chevalier, explores the contrast between Charlotte Brontë’s constricted life and her huge ambition. Growing up in the Haworth parsonage, Charlotte and her sisters lived in confined spaces, shared beds and worked together in one room. Despite being so contained, she had big ideas and longed to become “forever known”. Exhibition highlights include Charlotte’s child-size clothes, several of the tiny books the Brontës wrote as children, and a scrap from a dress Charlotte wore to an important London dinner party. Another intriguing item on display is a moving love letter Charlotte wrote to her Belgian teacher, Constantin Heger, loaned by the British Library. Additional objects from the Parsonage feature in the National Portrait Gallery’s Celebrating Charlotte Brontë, which transfers to New York’s Morgan Library this fall. The exhibition explores the story behind the only surviving portrait of Charlotte, Emily and Anne, painted by their brother Branwell. The painted was discovered folded on top of a wardrobe and subsequent acquired and restored by the Gallery in 1914. William Shakespeare’s final will is among a treasure trove of documents linked to the Bard’s life that went on show at London’s Somerset House this week. The collection, gathered from the National Archives, casts light on his rise to prominence in the cut-throat world of London theatre, and includes four examples of his rarely seen signature. It includes his 1616 will, which gives evidence of his wealth and lists bequests of memorial rings for his actor friends and a silver bowl for his daughter. There are also court papers alleging a “violent theft” of material from a north London theatre which was used to build The Globe, where Shakespeare worked. Other documents detail which plays were performed at the royal court.